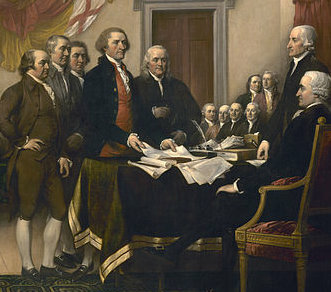 History tells us the delegates who attended the Constitutional Convention spent much of their time getting drunk. One surviving document is a bill for a party on September 15, 1787, two days before the signing of the Constitution. Items on the bill were: 54 bottles of Madeira, 60 bottles of claret, 8 bottles of whiskey, 8 bottles of cider, 12 bottles of beer, and 7 bowls of alcoholic punch, all for 55 people.